Don’t you just love the 90’s? The music, the fashion, good TV. It seems like designers are all feeling the nostalgia lately, especially Versace. The designer’s past few collections all had a certain 90’s vibe about it. One of the most memorable shoe trends of the era had to of been mules. And boy, have they come back with a vengeance. Tipped to be the ‘It’ shoe of the summer thanks to its’ easily slip on design and chunky heel aesthetic, meaning you can wear them all day and night without feeling as though your feet need to be surgically removed yet you can pair them with any outfit. 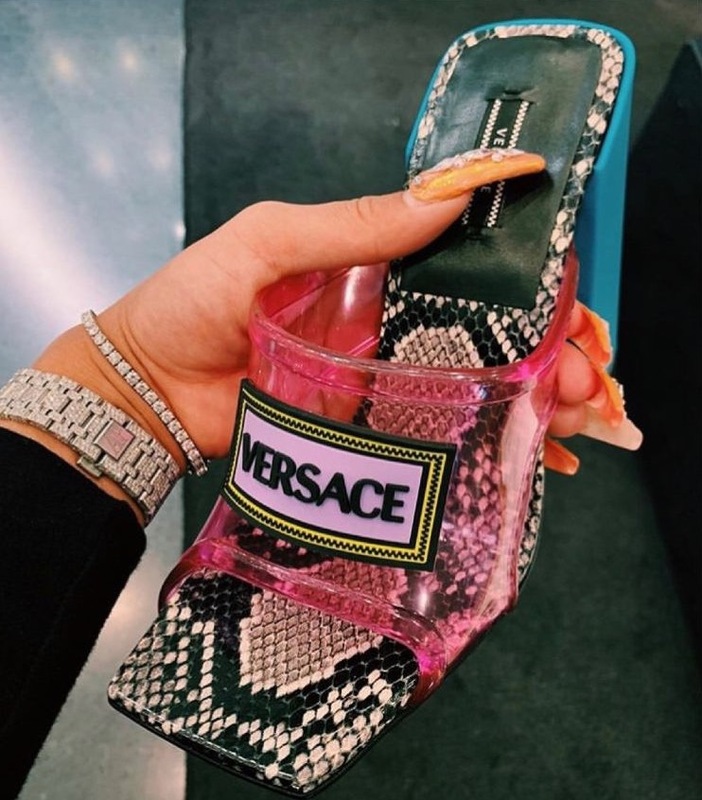 Versace have released a triple trend shoe combo: neon bright vinyl, snakeskin, mules. For a surprising (yet still pricey) $875, we are betting we will see these bad boys on the perfectly manicured feet of all your favorite celebs. Watch this space.